Cutrine Plus & AlgaeBlitz BioCatalyst make for a powerful combination for killing Algae in lakes and ponds. Using these two products together dramatically increases the speed at which algae is killed and broken down. AlgaeBlitz Bio-Chemical Catalyst Boosts the effectiveness of Cutrine Plus by up to 4 times! Reduces chemical usage saving you time and money. Safer for the Environment and the Applicator. Algae-Blitz Bio-Chemical Catalyst is an all-natural formula that enhances and boosts the breakdown of proteins and complex carbohydrates found in aquatic plants. Black Label Bio-Chem releases specific bio-stimulants that allow the naturally-occurring bacteria and fungi to take over degradation of the dead flora and fixation of available nutrients. Boosts the effectiveness and "killing power" of copper algaecide Cutrine Plus by up to 4 times! 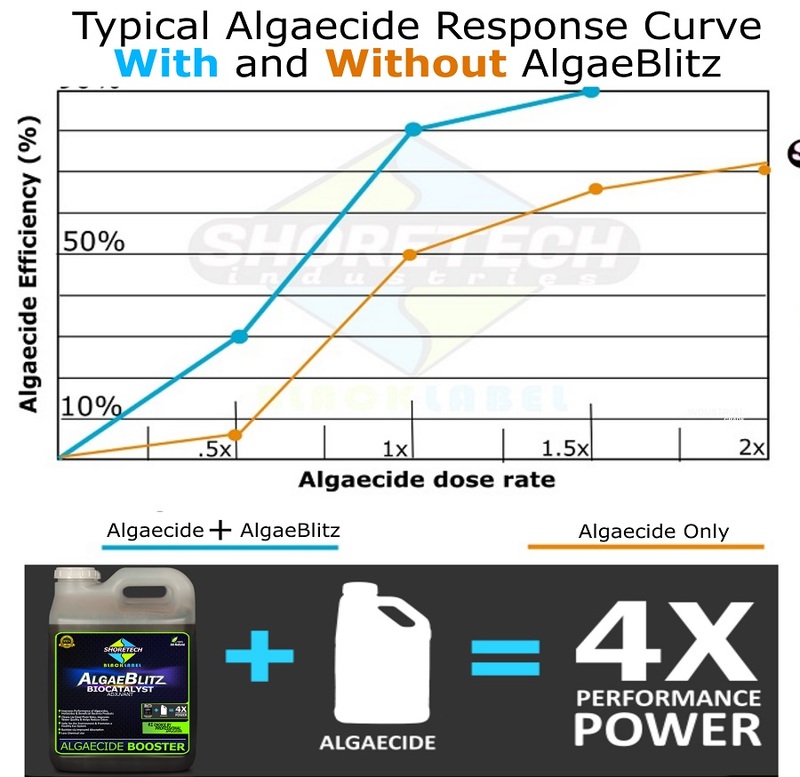 This product alone will not kill living plants in lakes and ponds but its molecular make up will boost the performance of particular aquatic algeacides such as Cutrine Plus allowing for less chemical usage.